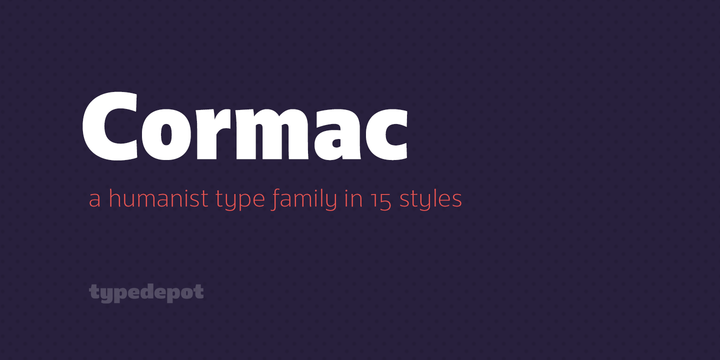 Cormac is a humanist typeface created by Alexander Nedelev and published by Typedepot which is available in 7 weights and their italics and it has large x-height & slightly flared stems. Also comes with great variety of figures – oldstyle, proportional, lining, tabular, subscript, nominators & denominators, fractions – and multilingual support. It work great on headline, logo, package, branding etc. Price: starting from $19,00 for one font to $180,00 for all 15 fonts. A font description published on Friday, January 27th, 2017 in Alexander Nedelev, Fonts, Typedepot by Alexandra that has 2,665 views.